You will accompany the local gauchos on their horses in this unique experience. You can join this excursion even if you lack horseback riding experience! You will get an unforgettable view of the Lago del Toro from the vantage point. 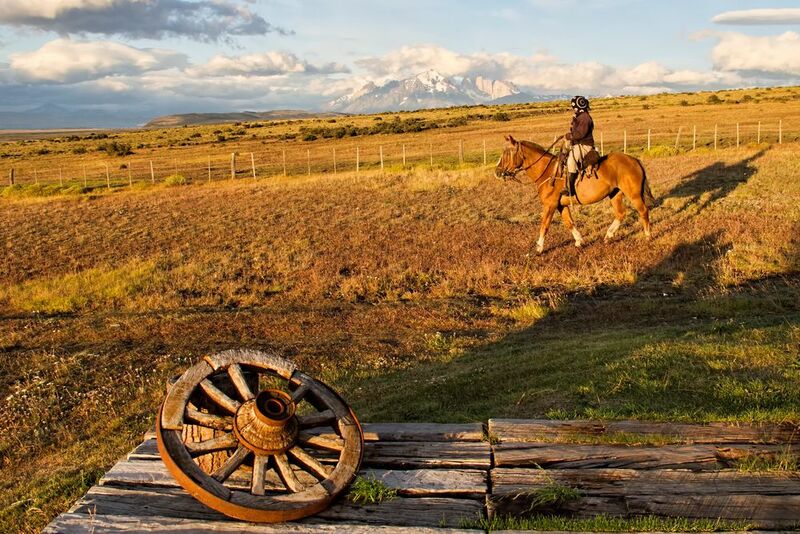 ** Horseback Riding** in Patagonia is an unforgettable experience, for both beginners and experienced riders. Gauchos will accompany you on this unique excursion. 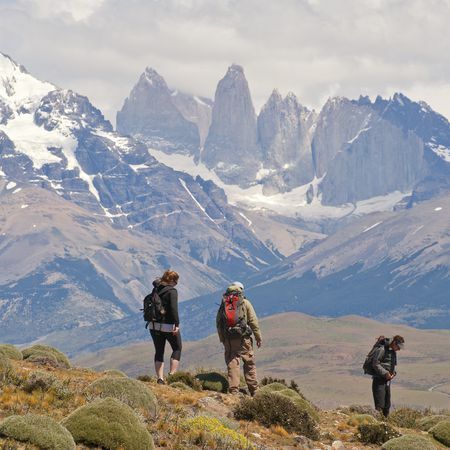 This experience can only take place in conjunction with a stay at Tierra Patagonia Hotel. 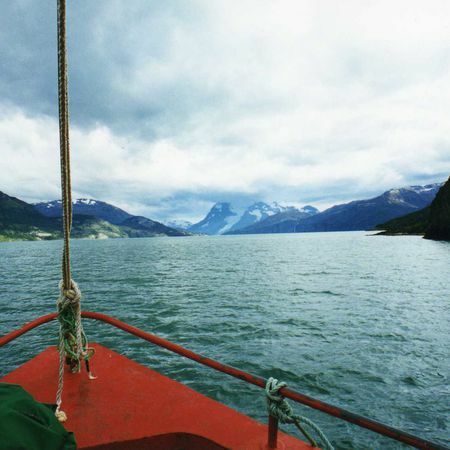 You will accompany the local gauchos (cowboys) on this adventure at the end of the world on 100,000 hectares. The horses have been bred in this wild environment and are specially trained so that every guest can ride them - even without experience. 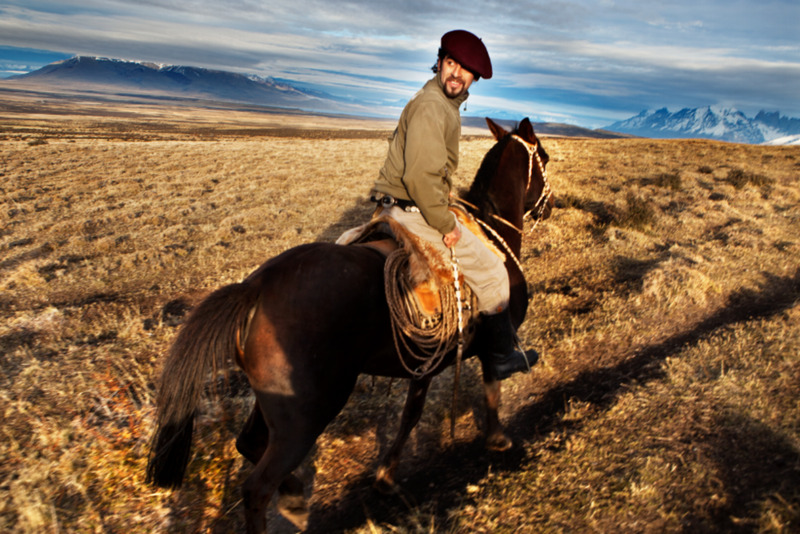 You can get to know Patagonia more deeply on horseback, getting better access to less explored areas of the real Baqueanos. After about 40 minutes driving, you will arrive at the Estancia Cerro Guido. 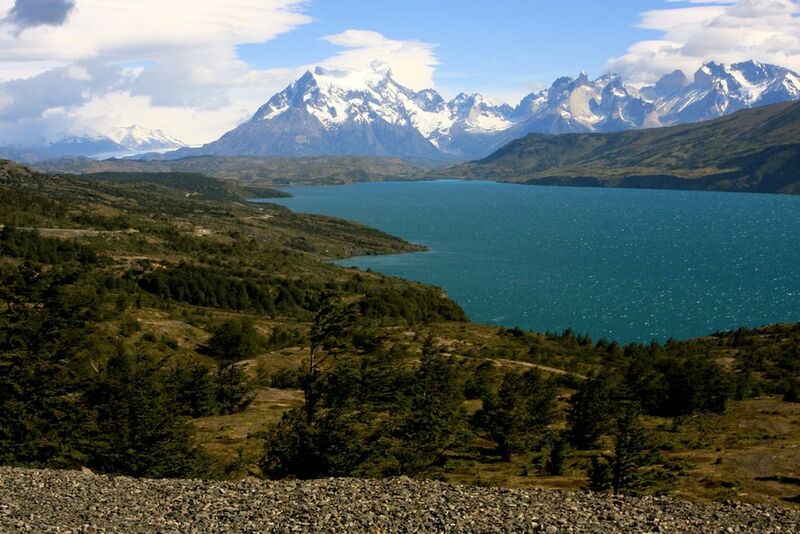 You will depart from the stables towards the old cattle pastures in the foothills of the Sierra Contreras and Torres del Paine. The Baqueano, a kind of local cowboy, will guide you along a small, ascending path, past old fallen tree trunks, and into a small forest along with a guide. After an hour's ride, you will reach a plateau about 600 meters above sea level, from where you can admire the Estancia Cerro Guido, the Lago del Toro, Lago Sarmiento, the Paine massif and the Cerro Cazador. On clear days, you can also see the ice fields of Campo Hielo Sur. Duration: 2 hours of horseback riding.